A surge in the number of U.S. air strikes in Somalia is raising questions about Washington’s mission there, the risk it poses to civilians, and whether Congress should pull back the reins on increasingly opaque military operations in Africa and elsewhere. The Trump administration is facing increasing scrutiny over the U.S. presence in Somalia from human rights groups, which say that civilian deaths have been increasingly obscured. A March 2019 report [PDF] by Amnesty International found that at least fourteen civilians were killed in just five of the more than seventy air strikes the United States has carried out in the country since early 2017. The report is based on interviews with witnesses, family members, and medical professionals, as well as a review of photographic evidence. The U.S. military disputes the report; it says none of those strikes resulted in any civilian casualties. 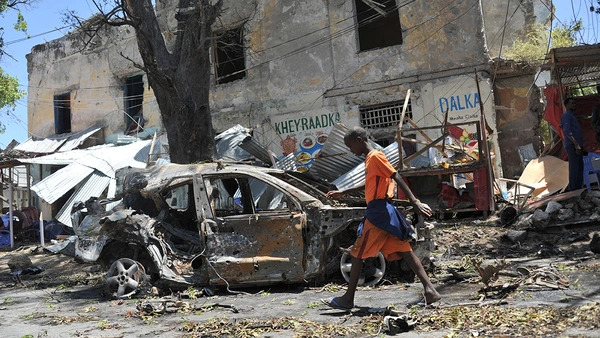 For more than a decade the United States has sought to help the Somali government defeat the Islamist insurgent group al-Shabab, which is affiliated with al-Qaeda. Washington has deployed hundreds of troops and provided hundreds of millions of dollars in military assistance to Mogadishu, largely through an African Union peacekeeping mission backed by the United Nations. But the United States has increasingly relied on air strikes to counter the militant group. In 2016 the Obama administration carried out fourteen strikes by both drones and manned aircraft, a marked increase from prior years. The CIA is believed to be involved in other U.S. operations there, though details of its activities are sparse. The Trump administration has more than doubled the pace of strikes from the Obama years. The Trump administration has more than doubled the pace of strikes from the Obama years, ordering thirty-five strikes in 2017 and forty-five in 2018. Soon after taking office, Trump declared parts of Somalia areas of active hostilities, giving the military greater latitude to carry out strikes there. Just three months in, this year could soon overtake past ones in the number of air strikes. The Defense Department says more than three hundred militants were killed in all of 2018; the death toll this year already stands around 250. At the same time, keeping track of the civilian toll is getting harder. Drone policy has long been secretive, but under a 2016 rule the CIA and other federal agencies were required to publicly report on strikes outside major conflict zones and estimate civilian casualties. Trump ended that rule by executive order last month. Keeping track of the civilian toll is getting harder. Amnesty International and other advocacy groups have raised alarm over this lack of transparency. Similar concerns have been raised about U.S. strikes in Libya, Niger, and Yemen, as well as other countries from the Sahel to South Asia where Washington is waging war on Islamist terrorist groups. U.S. strikes in Yemen, for instance, increased sixfold between 2016 and 2017. The legal justification for these missions is controversial. They are carried out under the 2001 Authorization for Use of Military Force (AUMF), legislation passed in the wake of the 9/11 attacks that allowed U.S. forces to target al-Qaeda and associated forces around the world. But critics say it has been stretched far beyond its original intent. Some call for more congressional oversight, while others argue the AUMF should be abandoned. But experts say members of Congress have little appetite to take the issue on, and they have remained notably quiet on the intensified air war in Somalia, which affects few of their constituents. With the proliferation of drones and other technologies that keep U.S. troops out of harm’s way and these conflicts out of the headlines, the issue will likely remain off the radar.